Moving into a new city can be a hectic affair, which means that the person moving has to make proper arrangements and work with professional movers in order to make the process easy. If you are moving into a new city, you need to ensure that your items are safe and secure every time so that they can get in your new home in good condition. A&A Moving Company helps to make moving a smooth process by bringing in professionalism and using appropriate technologies. The firm is a professional moving company that has helped to relocate families and businesses in a safe, efficient, and secure way. These Culver City movers help their clients to save money that they would have otherwise used in repairs by ensuring that they handle all your items properly to avoid breakages. The cost of repairing damaged items is the number one factor that push up the costs of moving. If a mover does not hire professionals, he or she risks exposing his or her items to improper handling. This makes the items vulnerable to damage. The moving company Culver City helps clients to save money by generating them a moving plan. 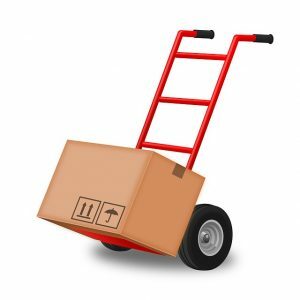 A moving plan is a plan that outlines how the items will be moved. The moving plan helps to categorize things and move them without breaking them. Items that are in the same category can be moved together, thus saving on the space needed. A good plan also helps to ensure that fragile items are not damaged. By planning properly and identifying fragile things, the team can protect them with soft materials such as bubble wraps that help to minimize the chances of damage. This in turn helps to reduce the cost of moving by avoiding repairs. Proper planning can also help you to minimize the time you spend moving. This is because you can master the area traffic and adjust your plan in accordance to the traffic flow. This is because moving at a less busy time helps to save fuel and time lost waiting on traffic jams. To ensure that the items do not break down during transit, a mover needs packaging materials such as boxes, tapes, and bubble wraps. 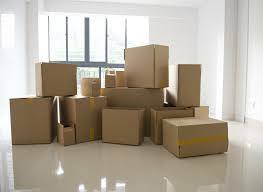 Boxes can also be essential for packaging other goods that the mover needs stored in a compact place. Bubble wraps help to ensure that an item reaches the destination in one piece by acting as shock absorbers. If the mover’s vehicle hits a pothole or a bump, the bubble wrap helps to absorb shock so that the fragile item does not break. We provide different types of materials that a client might need when moving. The moving company Culver City helps to ensure that goods are safe from theft. One of the most common ways people lose items while moving is through misplacement’s and lifting. During that chaotic period, people often request assistance from people they do not necessarily know or trust. Although some of these people may be happy to help, some of them might have ill motives. Some unprofessional movers may act unethically and steal precious items. The Moving Company Culver City works exclusively with professionals. They respect the properties of the client and can never take anything from the client. They also put in place enough measures to ensure that the client’s items are secure and safe while on transit. Packaging and sorting are important aspects of moving. Proper packaging can help to ensure that the items do not develop faults. As such, it is critical for you to get help from professionals while packaging your goods. Professionals are able to package the items in a way that they won’t be damaged during transit. Professional movers also have the knowledge and skills to handle and lift furniture correctly without damaging them. Household and office furniture, such as leather seats, is not only bulky and heavy to lift but also prone to damages while cornering and lifting. Skilled moving workers have developed techniques that help them to move such bulky items without dropping or damaging them. This ensures that the items are in good condition after the move. Movers that come to Culver City from other cities may not necessarily be aware of the local rules and regulations that affect moving. Hiring the services of a professional company helps such people to avoid breaking laws and regulations. Contact us for a free moving quote! City of Culver City 9770 Culver Blvd.